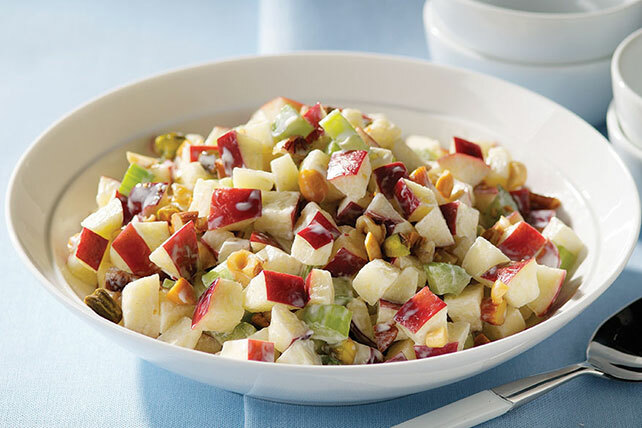 You can thank the dynamic trio of apples, nuts and chopped celery for making this Waldorf salad such a crunchy and colorful dish. Salad can be made ahead of time. Store in refrigerator up to 8 hours before serving.